Hamurabi is a text-based game of land and resource management and is one of the earliest computer games. Like many BASIC games of the time, Hamurabi was mainly a game of numeric input. 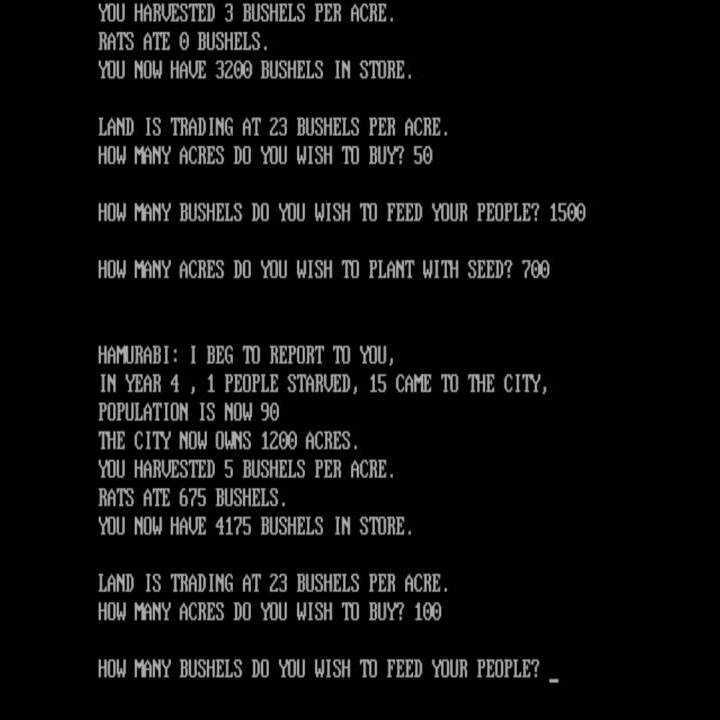 As the ruler, the player could buy and sell land, purchase grain and decide how much grain to release to his kingdom. Copyright © 2014 - 2019 SocksCap64, All Rights Reserved. Logos, Trademarks, Pictures Belongs To Their Respected Owners. Powered By WordPress. 95 Queries in 0.688 seconds.